Are you new to thermography or perhaps need a quick refresher on the basics of infrared? If so, ITC's live online tutorials and on-demand tutorials are just for you! Join us online - on your desktop, laptop, tablet or smartphone - for any of the following FREE sessions. Please be sure to reference our live online tutorial FAQ page to learn more about system requirements and timezones from which we broadcast. FLIR Tools+ with Report Studio is an upgrade to the popular FLIR Tools software, designed to provide an easy way to create robust inspection reports using Microsoft Word. This live webcast will demonstrate the process of designing a new template using the Word add-in. 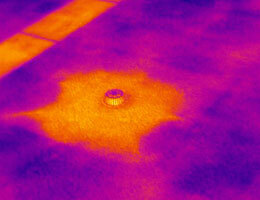 We will then proceed with importing and analyzing some images using FLIR Tools+. Finally, we will create a new inspection report from the Tools+ image library, and from the new Report Studio Wizard. This live tutorial will discuss the five most common uses of thermal imaging in building systems including how IR is applied in residential home inspections. Learn what types of thermal patterns can be detected and what they indicate including areas of missing insulation, air leakage, and moisture intrusion. Due to a variety of factors, using an optical gas imaging camera in the field can be quite different from the classroom. This webinar will highlight what some of those challenges are and cover the best practices of experienced inspectors who use thermal imaging technology for gas detection. Content will include how to properly plan for an inspection as well as what goals you should consider putting in place for your program. When inspecting electrical systems, thermographers are exposed to the potential of electrical shock or, far worse, an arc flash. This live tutorial will discuss the latest information regarding NFPA 70E, the standard for electrical safety in the workplace. We will briefly address the basics of electrical safety as it relates to infrared thermography, plus provide an important overview of how NFPA 70E applies to thermographers inspecting electrical systems. New to IR and thinking about getting certified? Join us first to learn the basics of infrared thermography. This tutorial will discuss what an infrared camera can do and provide a brief overview of the various application areas where thermal imaging is utilized including PdM, Building Diagnostics, Optical Gas Imaging and more. It will also demonstrate why proper certification training is essential for success with this technology. An overview of how thermal imaging technology is successfully used for gas leak detection. 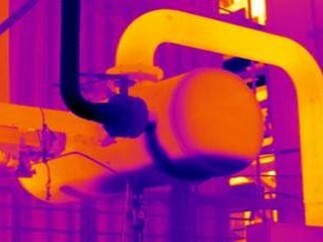 Learn what type of infrared camera is needed, examples of gases that can be identified, environmental conditions required, safety considerations, and much more. A basic overview of thermal science will also be discussed to demonstrate how this application works as well as what thermographers who are using this technology can do to get the most out of their equipment. 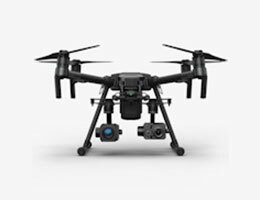 Aerial thermal imaging for public safety is among the most popular, and one of the fastest growing, aspects of drone operations. Search and rescue (SAR), fire fighting, and law enforcement are all applications that have well-established histories with thermal imaging, both on the ground and now in the air with Small Unmanned Aircraft Systems (sUAS). This live webinar will provide an overview of the different ways thermal imaging is being used for sUAS operations in the public safety arena and what knowledge and skills are for working in this field. Learn the basics of using thermal imaging to detect moisture in low-slope, commercial, roof systems including how aerial IR is applied. This webcast will provide an overview of the thermal imaging equipment needed, the procedures utilized, and any safety issues that thermographers need to consider. Attendees will also discover how wet insulation patters are detected as well as the required weather conditions for conducting a successful inspection. Do you fly with your thermal imager? Need to ship it to a job site or training class? Does your work involve international travel? Then this live tutorial is for you. This webinar will discuss the regulations, procedures and even laws that impact thermographers who ship, or fly with, an infrared camera. We’ll discuss everything from lithium battery regulations to US State Department rules that thermographers must follow if traveling with a thermal imager while also covering some of the best travel practices and tips from ITC instructors who are on the road with their cameras every week. FLIR Tools is a free software program designed to provide an easy way to create basic inspection reports. 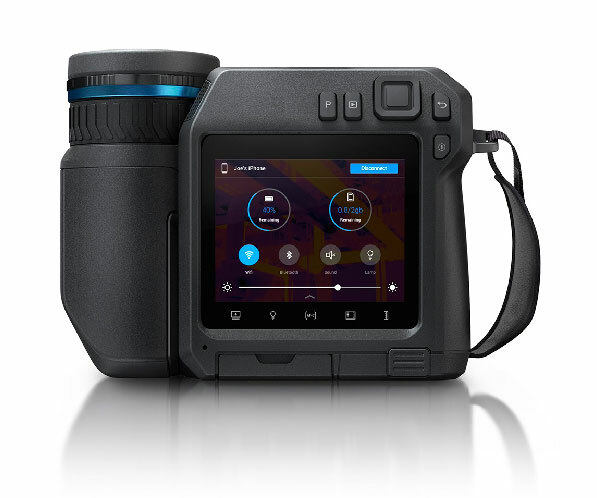 It also acts as the portal through which you can update and maintain the firmware of your FLIR thermal imager. This live webcast will cover the basics of using the FLIR Tools software to create a simple report as well as how to import, edit and analyze thermal images. Nicole Martino, Assistant Professor of Engineering in the School of Engineering at Roger Williams University in Rhode Island previews her InfraMation 2018 presentation on using infrared to inspect bridges. Learn more about how thermal imaging technology is used to identify areas of subsurface deterioration in reinforced concrete bridge decks. This live tutorial will provide an overview of how to use the FLIR Tools app for both the Apple iPad and iPhone. Learn the basics of installation, set-up, image import/analysis and report generation with this simple, yet powerful, tool. The FLIR Tools app is available for free from Apple via the App Store and is designed for thermographers to use with a FLIR thermal imager on their iOS device. Learn the basics of using thermal imaging to detect moisture in low-slope, commercial, roof systems. This webcast will provide an overview of the thermal imaging equipment needed, the procedures utilized, and any safety issues that thermographers need to consider. Attendees will also discover how wet insulation patters are detected as well as the required weather conditions for conducting a successful inspection. Join us for a special Inframation 2018 preview with the Infrared Training Center. Now that the program is set for this year’s conference, we are excited to provide you with a sneak peek of what topics and presentations are planned. We’ll also go over some of the related educational content that’s being presented at this year’s event including the training clinics and individual poster sessions. 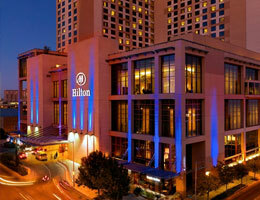 Inframation 2018 is coming up September 11-14, 2018 in Austin, Texas. This live tutorial will explore the most common uses of thermal imaging when inspecting mechanical systems including motors, pumps, bearings and more. Learn what types of thermal patterns can be detected and what they indicate, plus the limitations of the technology when utilized for this particular application. The ability to produce effective reports quickly is a critical component of any successful infrared program. One such way to improve your report writing capabilities is through the use of text annotations. This tutorial will cover how to utilize this feature, helping you generate reports more efficiently by populating important data points while still in the field. 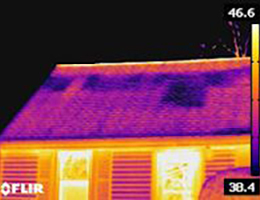 Thermal imaging can help us locate areas of missing insulation and air leakage bypasses in residential buildings that waste energy and increase costs. This live tutorial will demonstrate how IR is applied in building envelope inspections for residential properties and the types of thermal patterns that a thermographer will encounter. FLIR Tools with Report Studio is designed to provide an easy way to create robust inspection reports for your infrared program. This live tutorial will cover an overview of using the new Report Studio, specifically the basics of template design, so you can get the most out of this valuable software program for thermographers..
New to thermography and thinking about purchasing a thermal imager? Already have an infrared camera, but are unsure of its capabilities? We will breakdown and explain some of the more important IR camera specifications that are found in the product manuals and data sheets, including a few that are often misunderstood and some that you might not know about. FLIR Tools is a software suite designed to provide an easy way to create inspection reports for your infrared program. It also acts as the portal through which you can update and maintain the firmware of your thermal imager. This live webcast will cover an overview of using the FLIR Tools software and the new Report Studio. Learn how to import, edit and analyze thermal images and create a basic inspection report that effectively communicates what problems the thermographer has detected with their infrared camera. Learn where thermal imaging is best applied in electrical and mechanical maintenance applications. This webinar will cover the conditions needed, the types of thermal patterns detected and the proper inspection procedures one should follow if using IR for condition monitoring. Hosted by UE Systems and presented by the Infrared Training Center. New to IR and thinking about getting certified? Join us first to learn the basics of infrared thermography. This tutorial will discuss what an infrared camera can do and provide a brief overview of the various application areas where the technology is utilized. This live tutorial will address how to capture quality thermal data with your infrared camera, covering some of the basics of infrared imaging that all thermographers should understand. This tutorial will show you how to set-up Fluke SmartView®, perform basic image editing and analysis, configure the Quick Report settings and output a basic final report document using the Quick Report feature. It is also designed for ITC trained thermographers with Fluke thermal imagers who require guidance on using the software to complete the Field Assignment portion of their infrared certification. This live tutorial will cover how to import, edit and conduct basic analysis of your thermal images using the FLIR Tools software, plus how to create simple reports with the program's available built-in templates. This tutorial is designed to introduce you to the world of aerial infrared thermography by describing the potential applications, types of equipment, business opportunities, and regulations one needs to consider if entering this new and rapidly growing field of thermography. This tutorial covers the basics of a building moisture inspection including the various thermal patterns detected. We'll touch briefly on some of the physics behind how IR works for this application. This tutorial will provide a basic overview of how IR is applied when inspecting HVAC equipment. It will include a number of real-world examples where the technology helps contractors better diagnose faults and improve their efficiency while working on HVAC systems. This tutorial will provide an overview of where and how thermal imaging can assist you during a property inspection. 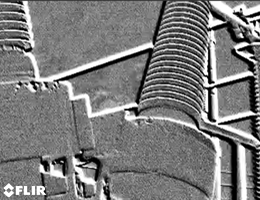 Whether it is locating insulation and air leakage issues, detecting potential moisture and mold problems, or finding hot spots in electrical systems, thermal imaging provides an important data point that your eyes may fail to see or that your other diagnostic tools may miss entirely. FLIR Tools+, the upgraded version of FLIR Tools, contains advanced features for thermographers, and thermography programs, seeking more flexibility and utility from their infrared reporting software. If you're considering an upgrade to FLIR Tools+, but are not sure of the many benefits, this tutorial is for you. This tutorial addresses the best practices of maintaining and servicing a thermal imager. This tutorial will help attendees understand the basics of how thermal imaging is used to identify missing and/or damaged mechanical insulation throughout a number of different industries and across a variety of equipment types. This tutorial will explain what’s required to conduct furnace inspections including the type of infrared imaging equipment that’s used as well as the proper training and certification of personnel. The basics of thermal patterns detected will be discussed as well as an overview of the challenges faced if attempting temperature measurements in these environments.